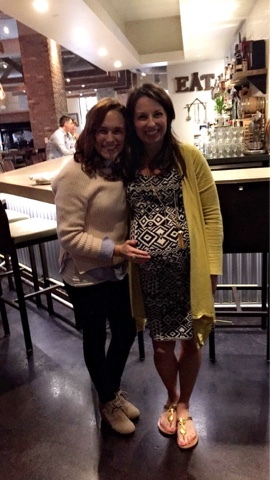 SMIDGE OF THIS: My Baby Sprinkle ... Welcoming Baby R #2! This past Sunday afternoon, my girlfriends threw the most beautiful, generous, special baby sprinkle for me to celebrate the upcoming arrival of our new baby. 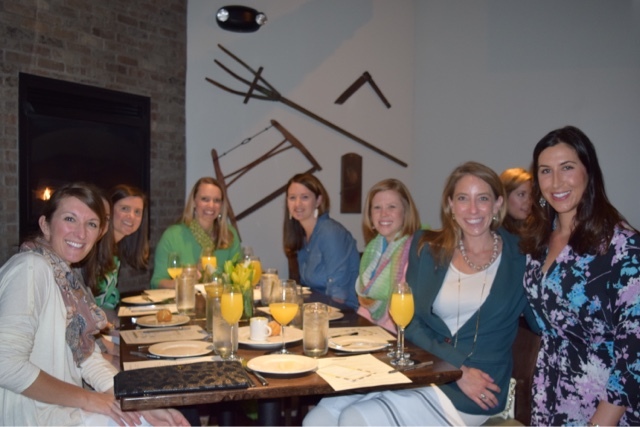 It was held at Dogwood Southern Table, which is a newer farm-to-fork restaurant in the heart of South Park in Charlotte. 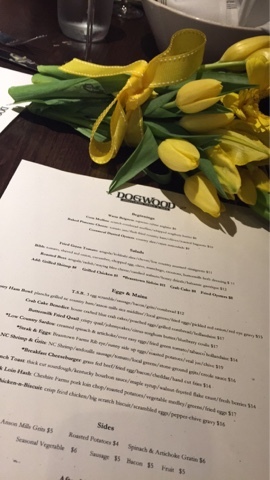 The brunch menu is ... oh my goodness ... spot-on. 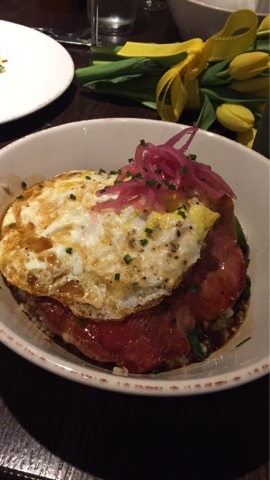 I chose a country ham bowl that included sauteed greens, rice, a delicious sauce, a fried egg (I prefer mine over-hard -- even while not pregnant), all topped with pink pickled onions. I kept the invitation list fairly small, just inviting a few Charlotte girlfriends, the grandmothers, and the aunts. Ian's sister was unable to come from Ohio and my middle sister was unable to come from New York, but my youngest sister, mom, and mother-in-law were all in attendance which was really special since they all drove in for it. Laura even took all of the photos from the day which helped me to relax and have fun but to relive the day through pictures later. Laura -- I love you for this! Here are some other highlights of the day. I received some great baby gear, gender-neutral clothing, and diapers galore! Two girlfriends even spoiled ME with gift certificates for a mani/pedi and a hair blow-out ... so sweet and thoughtful. The favors were provided by my sweet friend Lindsay and were something I'd never seen before. They were little plantable seeds in the shape of buttons! She brought these gorgeous flowers and the hand-lettered sign as well. So unique and beautiful. The best part of the day was just chatting with everyone and getting excited for this sweet new addition to our family. Most of my friends seem split 50/50 on the gender. Moms of little boys seem to feel I'm having a boy next, and moms of little girls are thinking we'll have more pink around our house! Thank you again to my lovely sister Laura for capturing these special photos and for being the most fun person to share a pregnancy with! And to my sweet girlfriends who hosted this day, you mean so much to me! 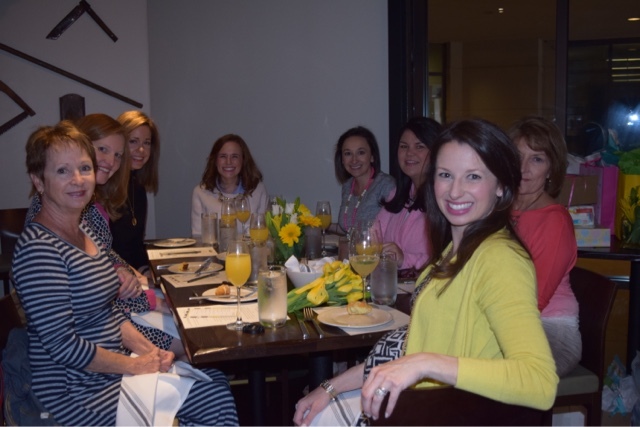 It was truly the most generous baby shower I've attended, and you went above and beyond to ensure that everyone was well fed, hydrated adequately with mimosas and coffee (ha! ), and spoiled with yummy buttercream cupcakes. Thank you for everything, you are the best lunch bunch girls! What a lovely sprinkle! Everything looks perfect -- especially the button-shaped favors. Love those! What a wonderful celebration! Your brunch dish looks fabulous, too! You are just too darn cute. 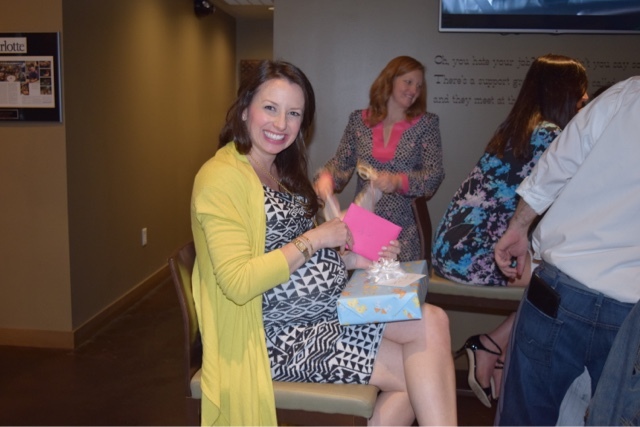 I had massive pit marks and four chins in all my baby shower pics. What a beautiful shower! I'm glad you had such a fun time! Your dress is gorgeous and you're so very beautiful. Looks like the perfect little "sprinkle!" I love those "I hope you..." cards as an activity and the plantable buttons were a great favor for a springtime shower! Can't wait for Baby #2's debut! Such a sweet shower! Can't wait to find out if your due with pink or blue! What a beautiful and fun sprinkle!!! Cannot wait to find out what the gender ends up being! Awww it looks like it was so much fun! Baby #2 is coming so soon! What an adorable sprinkle! Such thoughtful friends to do that for you! Also, side note--where is that dress from? I love it!!! I look at how you are carrying vs. how Laura is carrying, and AK says think pink! Does your sister have a blog?? She looks so familiar! Such a great time celebrating the littlest R! You look amazing, mama! Cannot wait to meet that sweet baby!!!!!! Looks like so much fun! And I love your outfit - that dress is awesome! Not only is this adorable, but I love those button seeds!! That's such a fun idea!! 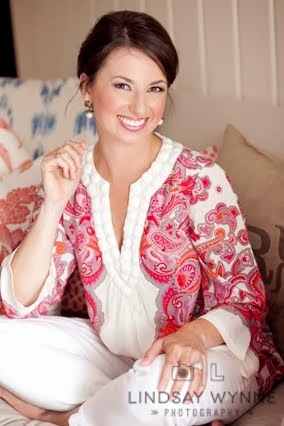 First- you are seriously the prettiest pregnant lady ever!!! Your outfit was SO pretty!!! 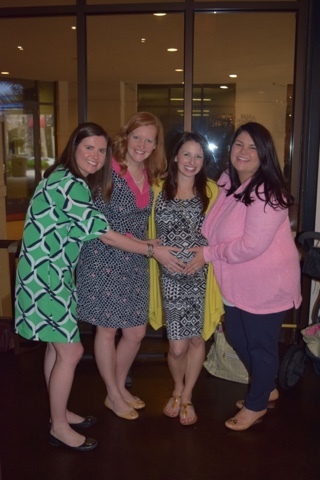 And it looks like it was such a special event- so wonderful your close friends and family came to celebrate you and Baby R #2!!! Now- time to have a baby!!! :) YAY!! !